Although I love painting my own nails, there’s nothing like the convenience of a salon gel polish manicure that looks perfectly chip-free for weeks after application. My least favourite aspect of a gel manicure is the removal process. I used to always file off the top layer of gel, soak pieces of cotton in acetone, place them on my nails, and cover with tin foil. Sometimes it would take up to an hour for this process to lift the gel, and the sensitive skin around my nails would be left damaged from the harsh acetone. Not to mention, I remove my polish outside since I can’t stand the acetone smell and want to keep the fumes away from my pets. An hour outside in the summer is a long time for someone like me who is afraid of bees. I almost gave up on gel manicures because of the unpleasant removal process until I heard about the Mitty Polish Off Soakies from a Cutepolish YouTube video which recommended them for quick gel polish removal. I immediately went to the Mitty site and purchased a set of ten to try. It’s a bit late, but I still wanted to share what my dog received in the August Bullymake Box. This box includes products to keep dogs entertained during the last hot month of summer. If you are unfamiliar with Bullymake, it is a dog subscription box designed for power chewers. Boxes contain 2-3 extremely tough chew toys and 3-4 all natural treats. Toys are tested for durability on nearly every power chewing breed to ensure the highest quality. Boxes are customized by dog size for dogs 10-200 pounds. Bullymake is very accommodating and truly stands behinds its products. All toys have a 14-day guarantee and will be replaced with an even tougher toy for free if they are destroyed in this time period. The company also has a satisfaction guarantee, so if a dog does not like a certain toy or treat, it will be replaced without the owner having to send it back or pay replacement shipping. For dogs with meat, chicken, or grain allergies, Bullymake can customize boxes to cater to them and even offers a toys-only option for dogs who cannot have treats at all. Read on to see what my dog received in the August Box. Although fall is my favourite season, it is also the busiest time of year for me at my full time job. 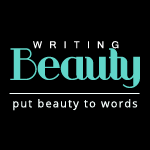 If you have been following Writing Beauty for a few years, you may have noticed that new posts are infrequent between September and December. My plan for 2018 was to try to avoid such a long break, so here I finally am in November with a new post. Aside from having the energy to make it through a full day of work on a hot summer day, getting enough sleep is so important for the health of our skin. Have you ever noticed that your skin looks pale, puffy, and dull after a restless night’s sleep or only a few hours of rest? As I have mentioned in the past, I don’t wear foundation, so keeping my skin as healthy as possible is key for helping me feel confident enough to leave the house makeup-free. Considering this, I make sleep a priority and see great value in using quality skincare products before bed to help me wake up to the best version of my complexion. Since the end of 2017, I have been using the Sothys Paris Wrinkle-Targeting Comfort Youth Cream as a night moisturizer. While I love how it keeps me waking up to soft, smooth, and refreshed skin each morning, Sothys just came out with a new line of night moisturizers that I couldn’t wait to try. If you are unfamiliar with Sothys, it is an avant-garde beauty expert that produces products sold exclusively in beauty institutes and spas. This highly specialized brand has an extraordinary commitment to research and innovation, which is shown through its effective line of luxurious skin and body care. The nO2ctuelle nighttime line features products that work while we are sleeping to erase visible signs of damage caused by environmental factors we encounter during the day and also visibly work against premature skin aging. The July Bullymake Box includes products to keep active dogs entertained during the warm summer months. Where I live, July is the hottest month of the season, and my dog spends more days indoors to avoid overheating. Luckily, Bullymake keeps him entertained with new toys and treats each month. If you are unfamiliar with Bullymake, it is a dog subscription box designed for power chewers that have an easy time destroying toys and treats. Boxes contain 2-3 extremely tough chew toys and 3-4 all natural treats. Toys are tested for durability on nearly every power chewing breed to ensure the highest quality. Boxes are customized by dog size for dogs 10-200 pounds. Bullymake is very accommodating to its subscribers and truly stands behind its products. All toys have a 14-day guarantee and will be replaced with an even tougher toy for free if they are destroyed in this time period. The company also has a satisfaction guarantee, so if a dog does not like a certain toy or treat, it will be replaced without the owner having to send it back or pay for shipping on the replacement. For dogs with meat, chicken, or grain allergies, Bullymake can customize boxes to cater to them and even offers a toys-only option for dogs who cannot have treats at all. Read on to see what my dog received in the July box. Now that we are entering the last full month of summer, it’s time to repair the damage that the scorching sun, salty water, drying chlorine, and warm wind has had on our hair. Luckily, I have had the opportunity to try Kariderm’s hair care line that features products with clean and natural ingredients such as Argan Baobab and black cumin oil. They also include a high concentration of raw, unrefined shea butter which is a natural, anti-aging moisturizer that nourishes, fortifies, and illuminates hair. All Kariderm products reflect efficiency and respect for both people and the environment as they are crafted with unrefined shea butter that is certified Organic and Fair Trade. Every Kariderm product sold includes royalties to the Social Fund which helps finance a healthcare protection program for women working to produce shea butter in rural Burkina Faso. Not only do I feel good about using these hair care products due to their natural, clean ingredients, I also really appreciate the company’s efforts to ethically source their shea butter. Read on for my review of these Kariderm products that are keeping my hair strong, healthy, and smooth during the hot summer months. The June Bullymake Box includes products to keep active dogs entertained during the warm summer months. Where I live, it has been extremely hot and my dog, who overheats easily, has been spending more time indoors than he would like. Luckily, receiving new toys and treats from Bullymake each month has prevented him from getting bored. If you are unfamiliar with Bullymake, it is a dog subscription box designed for power chewers that have an easy time destroying toys and treats. Boxes contain 2-3 extremely tough chew toys and 3-4 all natural treats. Toys are tested for durability on nearly every power chewing breed to ensure the highest quality. Boxes are customized by dog size for dogs from 10-200 pounds. Read on to see what my dog received in the June box. At the end of 2017, I went on a search for a new eye cream that would significantly improve the appearance of my dark circles while hydrating, reducing puffiness, and minimizing fine lines. I tried products from the drugstore, department stores, and even some from online brands represented by independent agents, but did not find what I was looking for. Most eye creams that helped with dark circles were too drying and made fine lines more visible, and those that were hydrating did nothing for my raccoon eyes. When I was about to give up my search, I discovered that Sothys Paris, one of my favourite skincare brands, also has a range of eye treatments. I must have been so focused on their amazing serums and moisturizers that I overlooked their eye products. The eye products from Sothys include a special formulation, developed through advanced research, that includes second-generation flax extract and mountain flower extract derived from plant stem cells. The effectiveness of this formula is rooted in glycobiology which highlights the role of sugars to help the skin protect and regenerate itself for improved overall function. The April Bullymake Box features exciting products to keep dogs entertained in the spring. Where I live, spring includes a random assortment of hot, cold, and pleasant days, so I am especially thankful to have Bullymake on hand for times when it’s too cold or too rainy to take my large, energetic dog for a walk. Bullymake is very accommodating to its subscribers and truly stands behind its products. All toys have a 14-day guarantee and will be replaced with an even tougher toy for free if they are destroyed in this time period. The company also has a satisfaction guarantee, so if a dog does not like a certain toy or treat, it will be replaced without the owner having to send it back or pay for shipping on the replacement. For dogs with beef, chicken, or grain allergies, Bullymake can customize boxes to cater to them and even offers a toys-only option for dogs who cannot have treats at all. Read on to see what my dog received in the April box. It’s that time of year again: the ground is thawing, the days are longer, and spring wardrobe pieces are getting back into rotation. After a long, dry winter my skin needs a little extra care before I put my tights away and slip into dresses, skirts, shorts, and sleeveless shirts. Luckily, I have had the opportunity to try a skincare line from Kariderm that features products made with raw, unrefined shea butter which is a natural, anti-aging moisturizer that keeps skin soft, vibrant, nourished, and healthy. This special ingredient is complemented in Kariderm products by clean and natural ingredients and therapeutic essential oils. Not only do I feel good about using these products on my skin due to their natural, clean ingredients, I also really appreciate the company’s efforts to ethically source their shea butter. Read on for my review of these Kariderm products that are keeping my skin smooth and fresh for spring and summer. Today I have an exciting and extra-sweet post for you featuring the February Bakers Krate*. If you are unfamiliar with Bakers Krate, it’s a subscription box that sends its members hand-crafted gourmet baked goods produced by Canadian experts. The Bakers Krate team searches for Canada’s best desserts to satisfy your sweet tooth so that you can enjoy local tastes and delicacies in the comfort of your own home. Each box contains fresh baked goods such as cake pops, pie jars, cookies, dessert squares, and more made by Canadian artisans. Each item in the box is packaged well to guarantee freshness. Subscriptions are $19.99 per month plus $9.99 shipping across Canada. You can save a bit each month by signing up for a three month or a six month plan. You can also send Bakers Krate as a gift and include a sweet, personalized message for the receiver. I have used the gift option for special holidays, birthdays, and for friends who are living away from home. After all, there’s no better cure for missing home than a surprise box of delicious gourmet treats. The February box is pretty in pink for Valentine’s Day! It also comes with two information cards. One card includes a Dessert Menu with a description of each product as well as an Ingredients List an an expiry date for each dessert. The other card provides interesting background information on the bakeries that created the desserts. Bakeries that contributed to this month’s box are all based in Ontario. Today’s NOTD is a little different from my usual posts since the featured polish is not grey or pastel pink. I was in the mood for darker polishes this winter, and Turn ’N’ Pose from Essie’s Gel Couture line has been one of my go-to shades this season. We are entering the third month of 2018, and I’m proud to say that I’m still following the healthy habits that I planned to adopt at the beginning of the year. One of my goals is to replace unhealthy, processed snacks with more natural, healthier options. This is not always easy during the busy work week when it’s hard to find time time to go to the grocery store or prepare snacks in advance, but luckily there's a subscription that can help: Little Life Box. The Sothys Paris Spring/Summer 2018 Les Jardins Sothys Make-Up Collection draws inspiration from the heart of nature for a wild and radiant beauty look. Sothys, an avant-garde beauty expert, offers a line of innovative skin and body care, as well as a makeup line with limited-edition collections inspired by the seasons. The Les Jardins Sothys collection launches today (March 5), and features fresh, floral colours such as sunny yellow, vibrant orange, radiant red, garden green, and midnight blue. I have a confession to make: I genuinely get excited when I am asked for my ID when I go to the casino in my city for dinner. It assures me that I must be taking good care of my skin if I look like I could potentially be at least ten years younger than my age. Over the past few years, I have been refining my skincare routine to include only products that visibly preserve the youth of my skin and keep it looking healthy and radiant. For this reason, about 90% of the products that I use are from Sothys Paris. According to Sothys research, 80% of aging is caused by environmental factors. Thankfully, the new Sothys Youth Creams* are ideal for those, like me, who wish to keep their real age to themselves because they protect the skin every day from aging, preserve its beauty, and visibly fight the signs of aging. Some of my favourite accessories to collect are shoes, earrings, and scarves. For Mr. Writing Beauty, it’s ties. They add a pop of uniqueness and personality to any outfit and are an easy way to make the most of a small wardrobe. Good quality ties can be expensive though and the selection at department stores doesn’t change frequently enough for tie enthusiasts to build a diverse collection. Thankfully, Spiffster Club offers an affordable monthly tie subscription so that anyone can build a dapper collection of ties that fit their style. There are five different variations of tie styles and patterns to choose from including silk ties made from the finest silk fabrics, original or skinny ties made from premium microfiber, cotton, wool, and silk materials, and bow ties in self-tying or pre-tied options. Ties come in multiple patterns such as solid, striped, paisley, foulard, pin dotted, polka dotted, plaid, and knit. There is also a sock collection for those who love to keep their feet looking stylish and a Shop where ties can be purchased individually. I think the shop would be a great place to look when shopping for groomsmen ties. 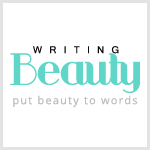 In terms of subscription options, they start at only $10 per month and you can save 20% for as long as you are subscribed with the code BEAUTYWRITER. In January, Mr. Writing Beauty was lucky enough to try the January 2018 Spiffster Club Box*. Read on to see which tie he received and to read our thoughts on it. When it comes to holiday-themed nail art, simple looks are my style. Happy Caturday! Today I have a special post for all the cats and cat lovers out there. One of my most important roles is cat mom, and I have no problem admitting that I’m a crazy cat lady. If it weren’t for Mr. Writing Beauty’s allergies, I would like to think that we would have more than two cats. I'm sure that you can imagine how excited I was when I found out that there’s a subscription box for cat lovers. CatLadyBox sends its members a monthly selection of unique and high-quality cat-themed items such as clothing, jewellery, home decor, and cat toys that you can’t find anywhere else. There is a CatLadyBox option that includes 3 items for cat ladies and a CRAZY CatLadyBox that sends 3 items for cat ladies and 2 additional goodies for cats. Boxes start at $34.99 per month and feature exclusive designs and limited-edition items. Other great features of this subscription include a gift option (I don’t know any cat ladies who wouldn’t be excited to receive a CatLadyBox as a gift), the opportunity to purchase individual items from past boxes in the CatLadyBox Shop (they currently have a cat makeup brush set! ), and the CatLadyBox Cares program which allows you to nominate your favourite rescue organization for a donation. Each week, CatLadyBox chooses one to receive a monetary donation and a box of CatLadyBox toys for their kitties to enjoy while awaiting their forever homes. My cats are both rescues, so I really appreciate companies that give back to animals in need and organizations that work hard to save animals and provide them with food and shelter. CatLadyBox also supports independent artists and small businesses by including items in the monthly boxes from art galleries, boutique shops, craft festivals, and independent artist sites. My cats and I were lucky enough to try the January 2018 CRAZY CatLadyBox*. Read on for our thoughts and to see what we received. Valentine’s Day is less than a week away, so here is one of two nail looks that I created in honour of this holiday. Check back next week for the other. With the start of 2018, many of us are making resolutions and setting goals to live healthier this year. Exercising, drinking more water, going to bed earlier, eating cleaner, and taking more time to relax are all great ways to improve your health, but don’t forget about breakfast. Sometimes it seems easier to grab a donut or skip breakfast entirely, but taking a few minutes to fuel your body with something nourishing and satisfying will give you energy to make progress throughout the day and keep you from making poor food choices at other meals. Here’s some good news: You can have a quick, healthy breakfast without having to turn the stove on or get up much earlier. Even more good news: You don’t have to leave the house to get the ingredients. Thanks to Oatbox, you can have a variety of healthy breakfast products delivered to your door for only $20 per month with free shipping across North America. Oatbox sends its subscribers two different granola mixes every month. The mixes include seasonal ingredients, mineral-rich organic oat flakes that are known for preventing cardiovascular diseases and maintaining a healthy digestive system, organic rye flakes that aid in digestion and weight loss while lowering the risk of diabetes, cancer, and high blood pressure, and organic raw honey that contains antioxidants, minerals, and vitamins. They do not need to be cooked and can be enjoyed with some milk or yogurt for a fast yet healthy breakfast. Aside from the classic granola mixes, there is also an option to receive individual oatmeal pouches, gluten-free and nut-free granola, and breakfast cereal bars. All Oatbox products are handcrafted, made of healthy ingredients, and free of preservatives. I was lucky enough to try the January 2018 Oatbox*. Read on for my review and to see the unique granola flavours that I received this month. I think I’ve mentioned before that grey is one of my favourite colours. It’s the main shade in my home, and I have more grey cardigans than one person could ever need. I also ask for grey at about 90% of my gel polish appointments. It truly goes with everything and it always feels so classy and chic. There’s a basket of broken dog toys in my kitchen cupboard. Normally, I would throw a broken item away immediately, but these toys went from brand new to destroyed within five minutes, so I saved them with the intention of fixing them for my dog to enjoy again. If you have a large, strong dog like I do, you likely know the frustration of purchasing an “indestructible” toy, only for your dog to pull out the stuffing, break it in half, or swallow part of it the moment you take it out of the package. The founders of Bullymake are Bulldog owners who realized that many different dog breeds were in need of more durable toys. Their solution was to create the Bullymake Box which is a subscription designed for power chewers that have an easy time destroying toys and treats. Boxes contain 2-3 extremely tough chew toys and 3-4 all-natural treats. Toys are tested for durability on nearly every power chewing breed. Bullymake is very accommodating to its subscribers and truly stands behind its products. All toys have a 14-day guarantee and will be replaced with an even tougher toy for free if they are destroyed in this time period. The company also has a satisfaction guarantee, so if a dog does not enjoy a certain toy or treat, it will be replaced without the owner having to send it back or pay for shipping on the replacement. For dogs with beef, chicken, or grain allergies, Bullymake can customize boxes to cater to them and even offers a toys only option for those who cannot have treats at all. Boxes are also customized by dog size and can accommodate dogs from 10-200 pounds. Boxes start at $39 per month. *Click HERE and use the code BULLYMAKE10 for $10 off your first box. * This could be a great Valentine’s Day gift for your favourite pup! My dog, who is approximately 65 pounds, was lucky enough to try the January 2018 Bullymake Box*. Read on to see what he received. Here’s my first attempt at nail art for 2018. It’s been a couple years since I created my Shimmering Snowflakes Nail Art, so I thought it was time for another winter look. Today I’m sharing my favourite product for waking up to more youthful-looking skin. Over the past few months, I have been testing out another serum from Sothys Paris. Like the others I have tried, this serum provides visible results right from the first application. One of my blogging goals for 2018 is to create more Nail Art and NOTD (Nail of the Day) posts. After all, I started Writing Beauty back in 2011 because of my passion for nails. Although I have downsized my polish collection over the years and have started getting salon gel manicures when life gets busy, nail polish will always be my first beauty love. Today I want to share my thoughts on one of my favourite polish purchases from 2017: Julep Jennye. I received this polish in my May 2017 Julep Maven Customized Box. As I was browsing through the site, this polish immediately caught my attention because it reminded me of a periwinkle crayon that was my favourite colouring tool when I was a child. Happy 2018, and welcome back to Writing Beauty! Now that the holidays are over and I’ve settled into January, my focus is getting back to blogging on a regular basis. I have many exciting posts to share with you over the next twelve months, but I want to start off the year with a seasonally appropriate topic: winter colds and flus. Whether you know someone who has been sick recently or you have been battling an illness yourself, you are probably well aware of all the germs floating around in this dry, icy air. The frustrating reality is that no matter how often we sanitize our hands, avoid those who are sick, and take care of our bodies, we can still catch a virus.